Mckenzie Lacroix: Florida Cop Steals Dog and Forges Checks From Elderly Woman Before Attempting To Kill Her! 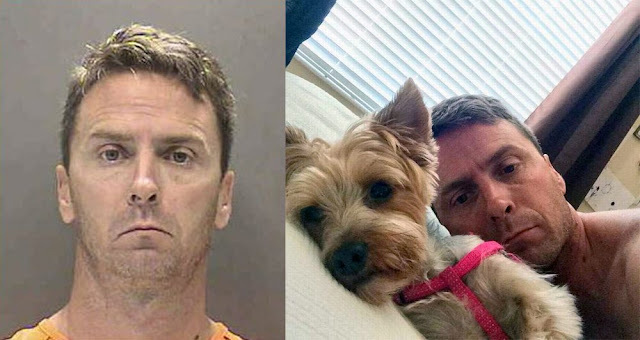 Florida Cop Steals Dog and Forges Checks From Elderly Woman Before Attempting To Kill Her! Frankie Eugene Bybee, a (ex-) Sarasota County Sheriff deputy just shy of 2 decades of service has been jailed on a more than $1 Million bond after he'd befriended a local elderly woman, stole her dog, forged checks from her account and left her for dead in her home! The 79-year old woman claims that in the Fall of 2016 she called local 9-1-1 for assistance and Bybee responded to the call, which ended with her being transported to a hospital. Since then Bybee would visit her at her home while on-duty as well as off and became quite friendly with her; introducing her to his family and all! Things began to take a turn for the worse when the woman was admitted to the hospital and Bybee agreed to watch after her dog during her stay. He took the dog, as well as a $1,000 check she had given him for the dog's veterinarian care and grooming. With check in hand, he (claims to have) gave the dog away via a CraigsList ad. At this point you really wonder, "How low can you go?!!" A person trusts you to care for their dog and gives you $1000 to do so and you immediately get rid of the pooch on CraigsList?? Just.. low-down! However, ole Frankie goes lower..
On January 9, 2017, the victim found an envelope addressed to Bybee which contained 4 checks made out to him and each of his 3 children, totaling $65,000 from her bank account. She had not written these checks! She handed them over to the Sheriff's office. Bybee's fingerprints were found on the checks and he was placed on administrative leave. January 12, 2017, the victim states that she was sitting in her living room when Bybee, clad in dark clothing and blue latex gloves, burst in, grabbed her face and forced pills down her throat, including those prescribed to her to assist with sleep. Following this, the victim passed out and awakened to the interior garage door open and her car running. Bybee faces charges of larceny, exploitation of the elderly of $50,000 or more, forgery, burglary of an occupied dwelling, battery on a person 65 or older and attempted murder. According to records provided to the Bradenton Herald by a Sarasota County Sheriff’s Office spokesman, Bybee has been the subject of five previous internal investigations, though only two resulted in disciplinary action. He was reprimanded and suspended for a week following a 2008 internal affairs investigation and then again in 2014, this time for seven days. This... is what the protection of The Boys in Blue can lead to... attempted murder BY A COP, thievery BY A COP, and many more ills that they promise to protect the citizens from. What if this woman would have died?! The fact that Bybee had 5 previous investigations, 2 of which earned him suspensions, should have been the very incidents that saved the citizens in Sarasota, Florida from being exposed to and potentially harmed by this Boy in Blue. Instead, Bybee was given chance after chance to do as he pleased with a gun and badge, even though it had been proven that he absolutely did not deserve the privilege. Hopefully, the victim sues the hell out of the local Sheriff's office and any and all other departments associated! She damn near lost her life due to their negligence!